I could probably spend my life hosting dinner parties. People are often surprised when I tell them I can cook a mean lamb Korma or gyoza. I love every facets of food: gardening, cooking, culinary writing, I love it all. In NY it is very difficult to invite people over for dinner (no one wants to go to The Bronx! ). In Port-au-Prince everything is pretty straight forward. It is a small city compared to NY with very few things to do so people like their little diner party. This one was to say thanks to my friend Elsa for giving me a place to crash after my many nights out. 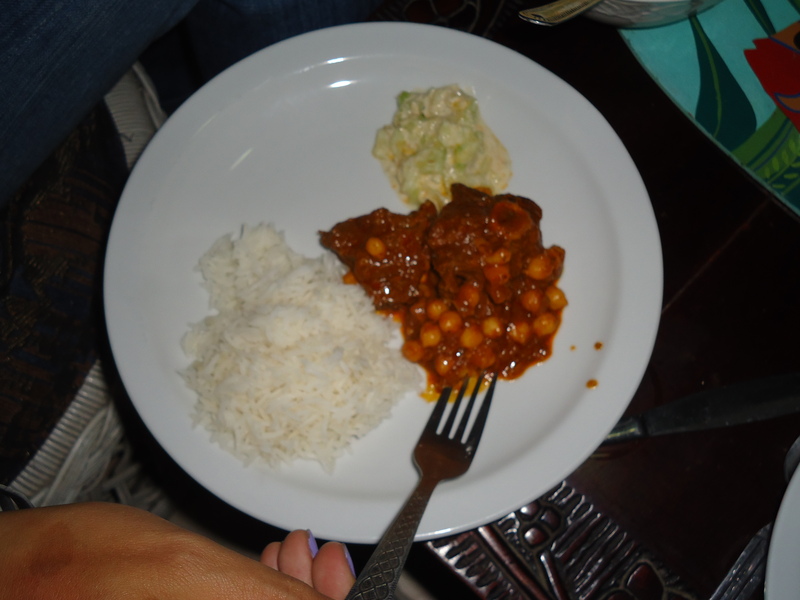 I made lamb with a mixture with a yogurt and tomato based sauce and basmati rice with a little side of cucumber raita. 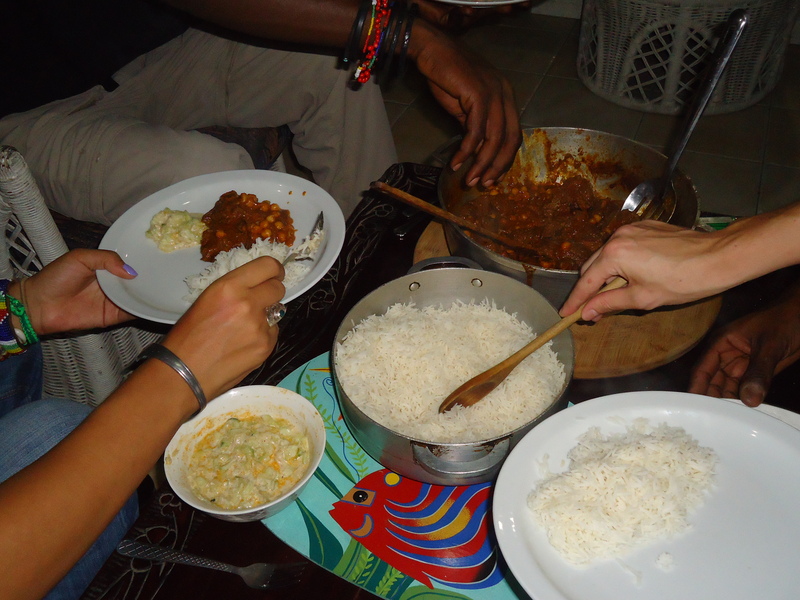 We ate so much that night….miam!